This is perfect to mix and match your favourite vegetables minced if you don’t have all of these on hand. The sweetness of the fruit complements the fresh herbs and abundance of veggies. Serve over polenta, pasta, or as a side dish. Heat oil in a large skillet over medium heat. 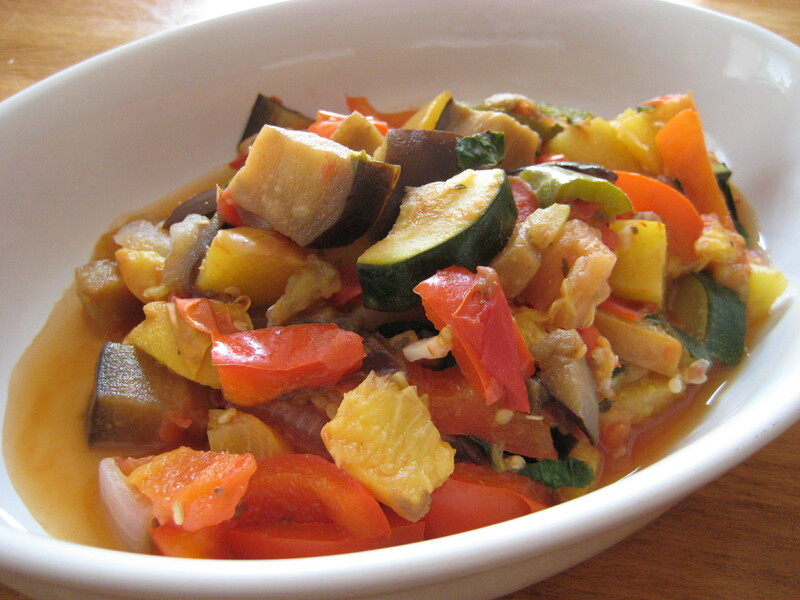 Add peppers, zucchini, eggplant, and onion, sautéing until tender, about 10 minutes. Add garlic, stirring until fragrant. Add tomatoes, nectarines, and peaches, and let cook about 8 more minutes, stirring frequently. Stir in basil and oregano, then mix in tomato paste. Reduce heat, and let simmer until thickened.